The medieval battle axe was deadly – no doubt about it. The discoveries at Towton, England, however, reveal a previously unappreciated level of hacking and horror, which would've been wrought by the axe. The Battle of Towton, fought in 1461 during the complex Wars of the Roses (when Mad King Henry VI was in his prime), was a deadly 15th-century exchange that left behind numerous skeletal remains. These bones, including Towton 25 – as one of the skulls is known – are full of clues about the actualities of medieval weaponry and battle. Towton 25 and the other bones found at Towton make medieval war come alive in a painful way that might actually make your face hurt just looking at them. Notably, the bones at Towton, especially those of Towton 25, do more than simply reveal what medieval weaponry might've been able to accomplish. They also vividly debunk some of the more popular Hollywood depictions of how they might've worked. Think a medieval axe could lop off a head on the field of battle in one clean swipe? Think again. The Wars of the Roses consisted of a series of battles that lasted from 1455-1485. These were fought between two rival medieval English Houses, the Yorks and the Lancasters. The ins and outs of each battle, every rival to the throne, and all of the machinations that took place during the 30-year civil war boiled down to a single victory – the victory of Lancastrian Henry Tudor (soon Henry VII) over Yorkist Richard III at Bosworth Field. Henry married Elizabeth of York, which united the two houses, ended the war, and founded the Tudor dynasty. The Battle of Towton, which took place in 1461, occurred right in the middle of this ongoing series of skirmishes. The name of the war represents the symbols of each house, a red rose for the Lancasters, a white for the Yorks. When Henry and Elizabeth bound the houses together, Henry combined the two into the famed Tudor Rose. By the 15th century, medieval European weaponry had shifted to an infantry-focused use of hand weapons like axes, swords, and spears. The use of gunpowder technology was also becoming more common in medieval weapons with cannons and rudimentary handguns. 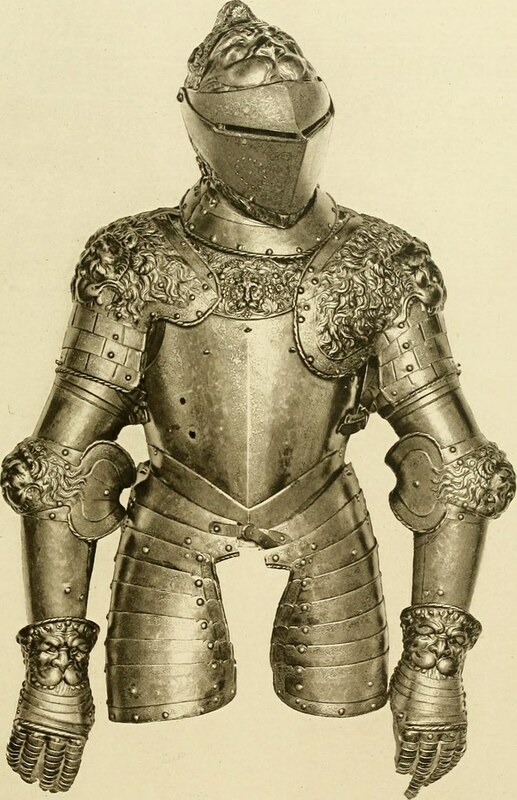 Armor changed to handle new and more lethal weapons with heavier suits of armor replacing leather, simple chain mail, and piecemeal plates of metal that were used in the earlier Middle Ages. The Battle of Towton was more or less removed from historical memory during the late 15th- and 16th-century Tudor Dynasty. The battle was fought in the north of England on March 29, 1491, and between 50,000 to 80,000 Englishmen were on the field of battle that day. Some estimates indicate that the two sides were evenly matched, while others claim the Lancasters had a numeric advantage. As the battle waged over many hours, neither side gained a clear advantage, but in the wind and cold weather, the Lancastrians were forced to advance in order that their arrows reach the Yorkist line. The archers relented, and the two forces moved into hand-to-hand combat, with the momentum shifting in favor of the Lancastrian forces until York reinforcements arrived. The Lancaster line broke, and they retreated, with York fighters pursuing them and killing them as they fled. The death toll, according to contemporary sources, numbered 28,000 men, which was 1% of the entire population of England at the time, but the battle was a Yorkist victory. The Battle of Towton was fought in a meadow, land that remained undeveloped until the 20th century. The discovery of a large grave at Towton in 1996 included 38 skeletons, 28 of them full males, ranging from roughly 20 to 50 years of age. Further excavation revealed as many as 51 skeletons, all of which showed signs of violent deaths. The wounds found on the bones not only showed signs of (then) recent injury but also healed wounds, indicating the men were veterans who had finally run out of luck on that fateful Sunday in March. Only one skull did not show signs of a head injury; others showed as many as 13 wounds inflicted at Towton.